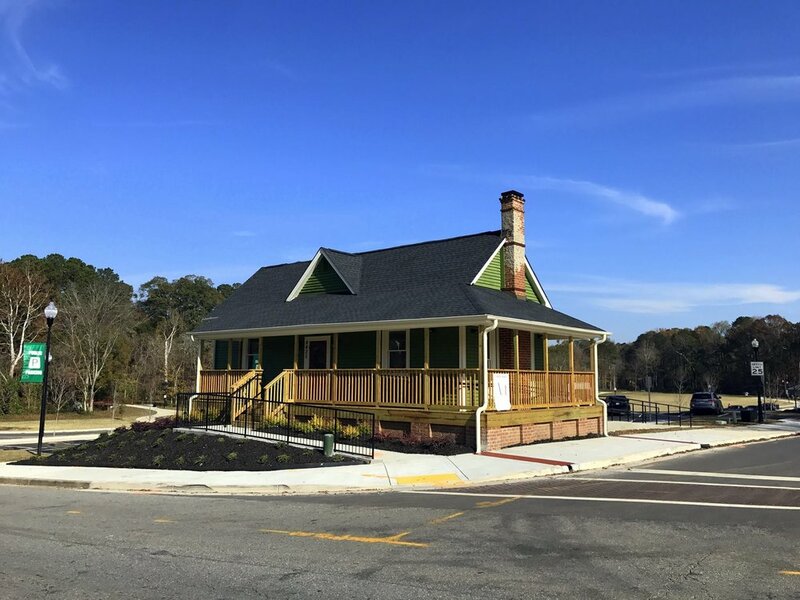 The City of Acworth partnered with us on the renovation of the Art House at Logan Farm Park. The house was constructed in 1930 and the newly renovated facility was leased out to a Acworth Arts Alliance to operate as an art facility. The project consisted of site work related to a 29 space parking lot and sidewalk with access to both Cherokee and Taylor Street, interior/exterior painting, roofing improvements, porch repairs / replacement, structural reinforcement, sub-flooring replacement/installation, minor landscaping, mechanical repair/improvements, plumbing improvements, electrical repairs improvements, general carpentry, framing, millwork, drywall repair and floor finishes.